Yet ironically the Philippines like many other island nations contributes to less than 1% of the world’s total carbon emissions, but is expected to be one of the countries to be hardest hit by the impacts of climate change. And around the world this scenarios is being repeated over and over. Poor countries are suffering disproportionately from the effects of human induced carbon emissions that mostly come from the developed nations. Whether it’s about water access, drought, flooding, vulnerability to more frequent and ever intensifying storms and other extreme weather events or exposure to diseases that the rising temperatures have encouraged to grow, the story remains the same: the poor people are yet have the means to mitigate and adapt to climate change. That is why I have resolved to become personally involved in the growing movement that seeks climate justice from our world leaders as a part of my Christian witness to the God who has revealed Himself as a God of justice and righteousness in the story of Israel’s exodus from Egypt. As the story of Israel’s liberation reminds us of the reality that liberation’s goal is the creation of a new people –God’s people. The Book of Joshua rightly follows through on this theme of God’s liberating work as the Israelites, after wandering in the wilderness for 40 years, are now finally entering the rest God had prepared for them in the land of Canaan. For me, what’s interesting about the Book of Joshua is its constant emphasis on remembering –which has been clearly shown in Chapter 24 where Joshua along with all the tribes of Israel renewed their covenant at Shechem, which started with the re-telling of their story as a people of God’s covenant with Abraham, Isaac and Jacob, their exodus from Egypt, and the promise that it holds for them as the people of God that finds its communal identity in the way of the Torah –making the past available to those living in the present. However it is not suffice to say entails only the narration of their history for every recital of history requires a response. That’s why for the Israelites, to remember is to bear witness to the great things that God has done for them in the Exodus, but also to remember God’s fidelity to His covenant to their ancestors making every ritual an act to make the past available in the present, which is translated in the enactment of their narrative communal identity –that is to do justice and pursue righteousness according to the way of the Torah. The GDA, in a way re-connects us with the past and the promise that it holds for us in the present and the future because it is an act of remembering – for to commemorate the GDA is to reclaim and grab hold of its promise of halting catastrophic climate change. Perhaps the covenant renewal in Joshua and the urgency of climate action is a quaint reminder for us to live out our narrative identity of pursuing justice and righteousness. Not to mention the truth that the act of covenant renewal also puts things into perspective not only during trying times but also during times when triumph or climax seems to be apparent, for it functions as a means to ground us to reality and returns our focus to God, who directs our individual and communal lives towards a future that is not our own. 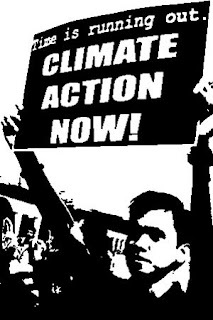 This entry was posted in Reflections and tagged Climate Change, Global Day of Action on Climate change, Joshua, reflection by Chuck Baclagon. Bookmark the permalink.